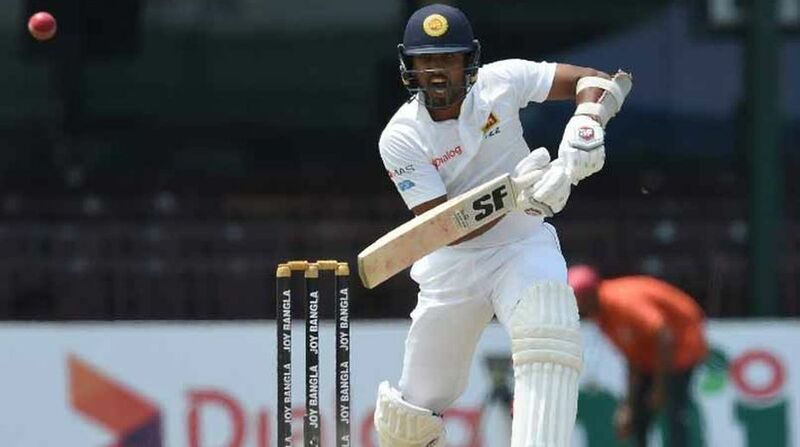 Indian bowlers struck late to reduce Sri Lanka to 356/9 in their first innings on the third day. Indian bowlers struck late to reduce Sri Lanka to 356/9 in their first innings on the third day of the third and final Test here on Monday. Overnight batsmen Dinesh Chandimal (147 not out) and Angelo Mathews (111) dominated India for most of the first two sessions. After Ravichandran Ashwin broke their big partnership, India removed five wickets in the third and final session to hold a lead of 180 runs with six sessions left in the game.